Calista’s rap talent came to bear at the age of six when she started saying her nursery rhymes in perfect timing to a beat in her daddy’s Emklan Music Studio. This pushed her father to start producing a beat for her to make a song he wrote. She memorized the rap verses easy and in just a day, “Who Is On The Mic” her first ever song was recorded. Even though the song never got released commercially, her father, producer, trainer and Mentor continued her on a journey which has brought her to her new single “I Can Make It” which features, Esi of Talented Kidz fame. A song written to motivate kids around the world to aim high because they can achieve. 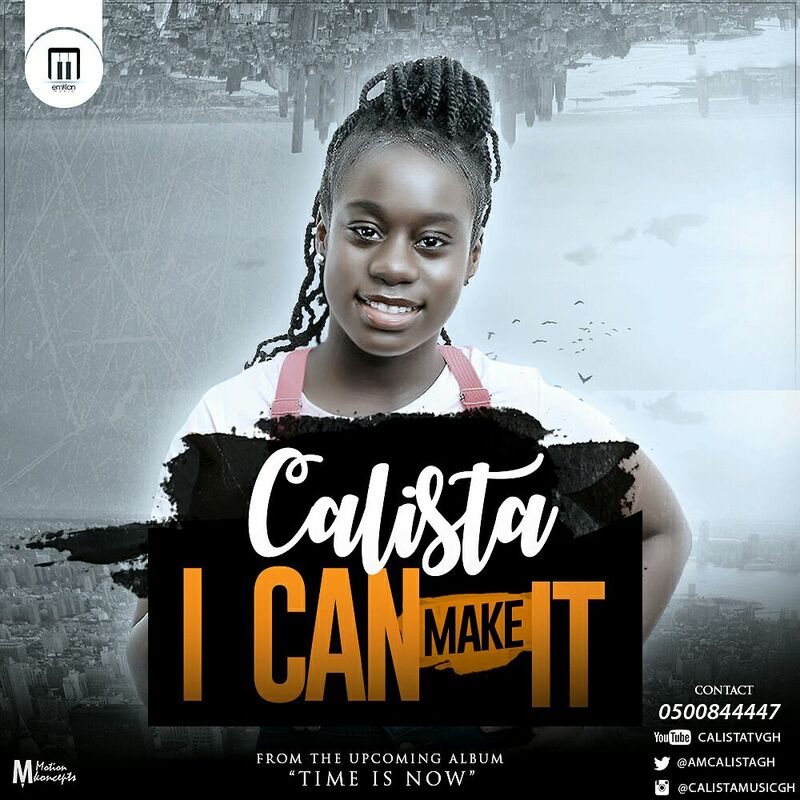 “I Can Make It” is taken from Calista’s upcoming maiden studio album called “Time Is Now”. A video which was shot partly in Guangzhou and Ghana has also been released and making a lot of waves. Cali, affectionately called by her friends intends to be a book worm and pursue academics as far as it goes and also explore her God given talent to its zenith. Calista Meusique Ama Adoma Amoateng was born to Mr Daniel Quophi Amoateng (Quophi Okyeame) Akyeame fame and Mrs Anastasia Akua Amoateng (Stacy) Music Music/Restoration fame) on 24th of September 2005. She is a class 5 pupil.